What is lumbar spinal stenosis (LSS) and who does it affect? LSS is usually found in people over 50 years of age; it is a common condition, with more than 1.2 million patients diagnosed and treated nationwide each year. What treatments have traditionally been available for LSS? 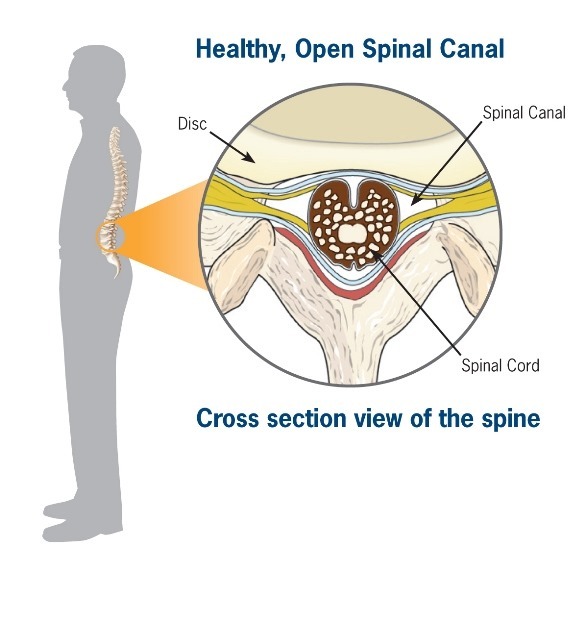 Conservative symptom management is often the first course of treatment for lumbar spinal stenosis, such as physical therapy, chiropractic, medical management, and epidural steroid injections. But if symptoms persist or get worse, a decompression procedure is required to alleviate the compression of the nerves in the spine. 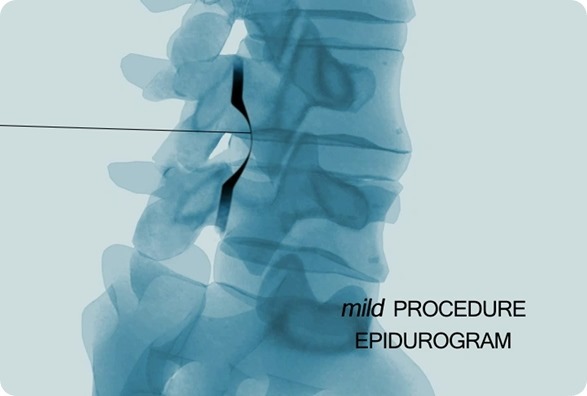 Decompression treatment options, historically, were limited to invasive, higher-risk, open surgical procedures, including laminotomy or laminectomy with or without fusion, which can cause changes to the structural stability of the spine. Please can you introduce the mild® procedure? 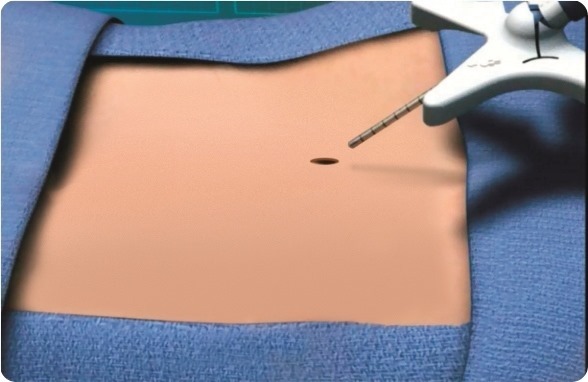 What prompted the development of this procedure? Vertos Medical Inc. was founded by two interventional radiologists, David Solsberg, MD, PC, and Donald Schomer, MD, who recognized a lack of treatment options between short-term palliative pain management and more risky invasive open surgery for lumbar spinal stenosis (LSS) sufferers. Dr. Solsberg and Dr. Schomer developed mild®, a safe and minimally invasive procedure that can help LSS patients stand longer and walk farther with less pain. How does mild® work and how safe is the procedure? mild® is a short, minimally invasive, outpatient procedure performed through an incision the size of a baby aspirin. It requires no general anesthesia, no implants, and no stitches. 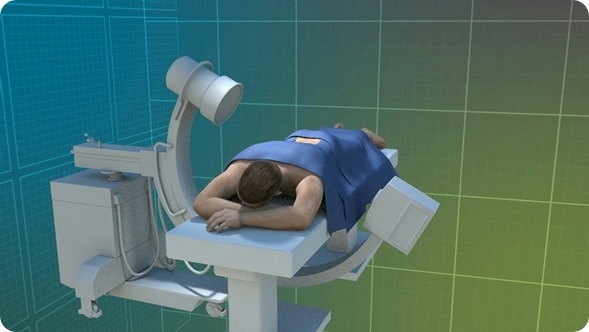 Physicians use fluoroscopic guidance to remove small portions of excess bone and tissue to decompress the spinal canal and relieve the patient’s discomfort. The safety and effectiveness of the mild® procedure has been validated in 11 clinical studies with 542 patients conducted at leading interventional pain institutions in the U.S. There have been more than 20 peer-reviewed clinical journal articles published on mild®. 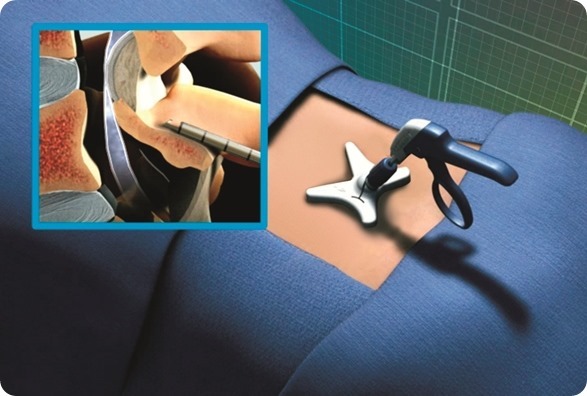 No major complications related to the devices or the procedure has been reported in clinical trials. To date, more than 15,000 patients have been treated with the procedure nationwide. How long does it take for patients to recover from the mild® procedure? The minimally invasive approach allows for quick healing and recovery; patients go home the same day and can resume light activity within a few days. 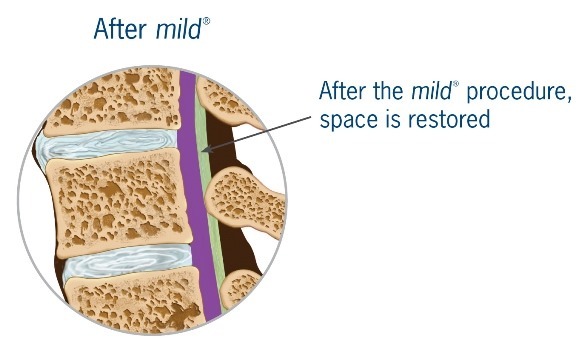 What are the benefits of mild® over traditional treatments? 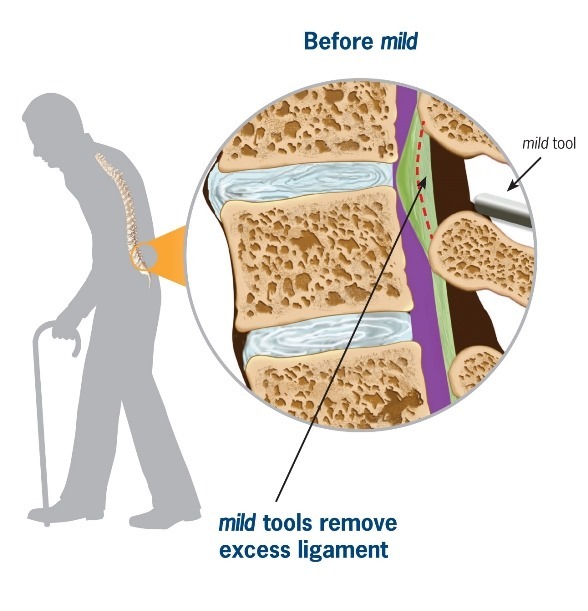 mild® is a safe outpatient procedure that treats the underlying cause of lumbar spinal stenosis (LSS) symptoms through a very small incision (about the size of a baby aspirin). The procedure can be performed in about an hour and most patients go home the same day, whereas traditional more invasive surgeries can result in lengthy hospital stays and higher complication rates. No general anesthesia, stitches, or implants are required. Studies show that 81% of patients experience significant reduction in pain and significant increase in mobility. Why does the mild® procedure not work for every patient? 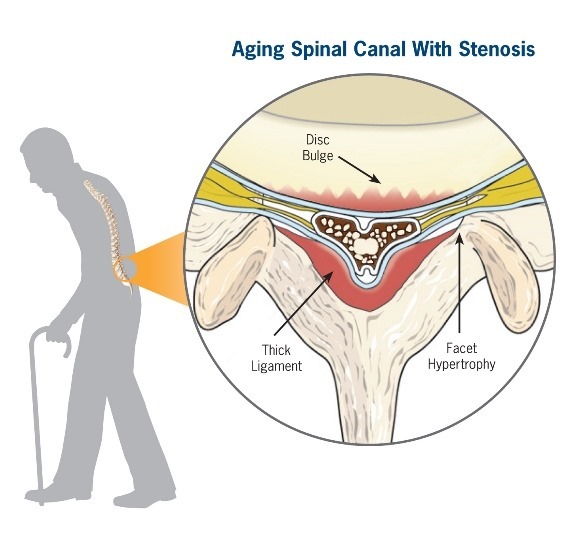 Lumbar spinal stenosis (LSS) is primarily a degenerative, age-related narrowing of the lower spinal canal that can result in compression of the nerves in the spine and subsequent neurogenic claudication symptoms. The narrowing is caused by degenerative changes in the lumbar spine and is often multi-factorial in nature. Common co-factors include disc bulge, osteophytes, and ligamentum flavum hypertrophy. 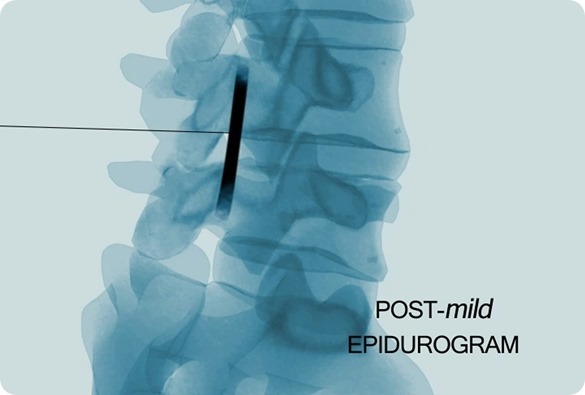 mild® debulks the hypertrophic ligamentum flavum to restore space in the spinal canal, and clinical studies have demonstrated that around 80% of patients experience a significant reduction in pain and improvement in standing time and walking distance, even in the presence of other LSS causal factors. If the other causal factors of LSS are more dominant than the ligamentum flavum hypertrophy, other symptoms may still exist. If other symptoms still exist post- mild®, patients are not limited from trying other more invasive procedures. What are the current limitations of the mild® procedure and do you have plans to address them? Educating consumers on a new treatment option can take time, but there have been 15,000 patients treated nationwide thus far, and positive word of mouth is spreading quickly. We also are excited about some upcoming educational campaigns that will help mild® become more mainstream. What excites you most about Vertos Medical’s plans for the future? Our mission is to change the lives of patients suffering back and leg pain from lumbar spinal stenosis (LSS), which severely restricts a patient’s ability to walk and stand, and thus restricts everyday life. We have an extraordinary opportunity to address this frequent and often debilitating condition with a low-cost, efficacious outpatient procedure. 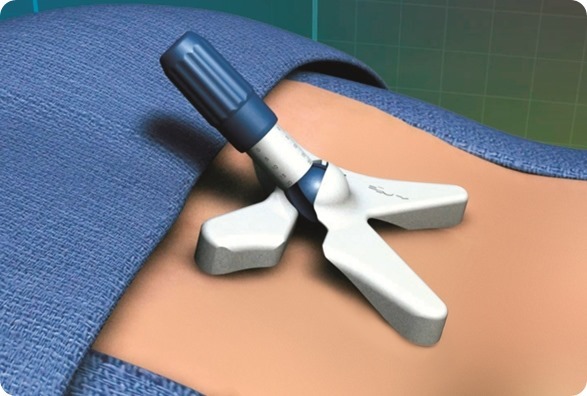 The mild® procedure—the least-invasive lumbar decompression procedure available that can provide long-term relief—has proven results, published in 11 clinical studies and more than 20 peer-reviewed papers. We intend to build on current momentum and continue our efforts to provide mild® as a new treatment option for LSS patients and establish it as a standard of care. We have two websites, one for physicians (www.Vertosmed.com) and the other for patients interested in mild® (www.mildprocedure.com). Mr. Corbett joined Vertos Medical in November 2008 as president, chief executive officer and member of the board of directors. Previously, Mr. Corbett served as CEO and president of ev3, Inc., and chairman of the board of directors until 2008. Prior to its merger with ev3, he was chairman of the board of Micro Therapeutics, Inc., for three years. Mr. Corbett has also held the position of president and CEO of Home Diagnostics, Inc., as well as president of Boston Scientific International during the Scimed/Boston Scientific acquisition. Prior to his term as general manager of Baxter Cardiovascular, Japan, Mr. Corbett held various sales and marketing positions at Baxter Healthcare Corporation. A graduate of Kansas University with a B.S. 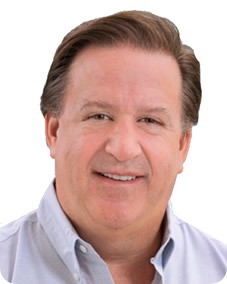 in business administration, Mr. Corbett has served on the board of several public and private companies over the years, including Symphonix, Therox, Alsius and ev3. I was curious about the "mild" procedure and this site explains it very well. 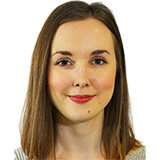 It sounds as though the procedure is a rational approach that could be very beneficial. Of course, all depends on the skill and experience of the practioners. An intelligent, straightforward exposition like that offered here, not hyped up, suggests that the sponsors may qualify. Hello, My dad suffers from pain believed to be related to Spinal Stenosis. My dad suffers from pain believed to be related to Spinal Stenosis. I am interested in finding our more info on this procedure that could hopefully alleviate his severe discomfort. He is in Massachusetts. Is this something he could have done there? Any other info or suggestions would be appreciated.